I'd prefer not to be the pretty thing in a film. she's looking like a bedraggled sack of potatoes." 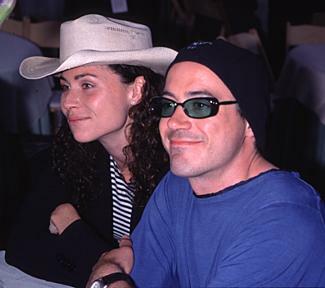 Minnie Driver and Robert Downey Jr.
look on the "Good Will Hunting"-page.